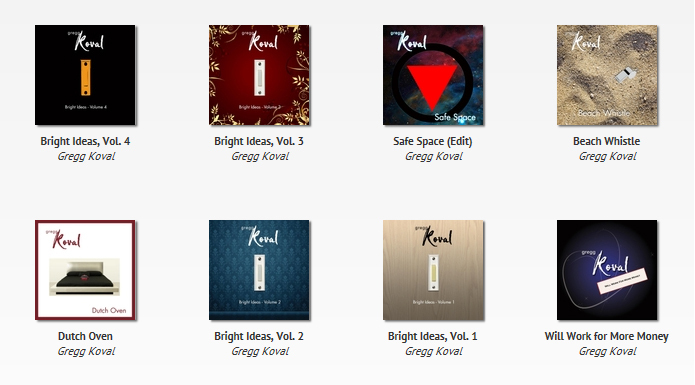 ﻿ Gregg Koval.com's Music Section - songs, videos and more. My shrink said I needed some kind of outlet. It's the reason I have the website. I like making songs, and usually ones with long guitar solos and semi-humourous lyrics. Have a listen and/or watch a video.